This is a rectangular Wisconsin Power and Light Company porcelain sign. This particular Wisconsin Power and Light Company sign is predominantly yellow with black text. 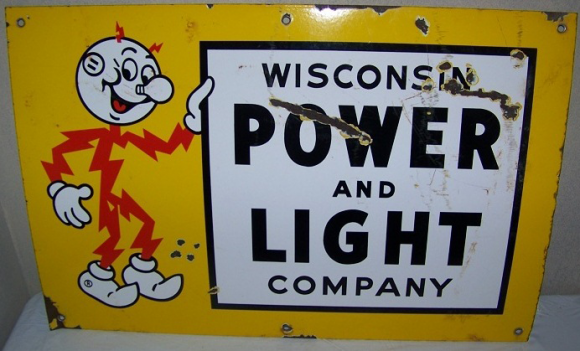 It reads, “Wisconsin Power and Light Company” and features a red lightning bolt man on the left side of the sign.